If I was only allowed to use one word to describe today's shop, that's the word that would fit the best. Because today's shop is absolutely fascinating, to the point that I've spent hours in there looking at before and after pictures, scrolling through items for sale and sold items as well as just hanging out and marveling at all the creativity! 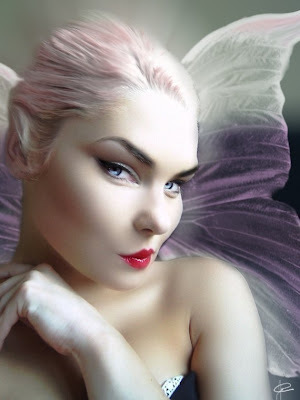 MyMagicMe on Etsy is the home of a talented digital artist that takes pictures of people and transforms them into pictures of fairies, centaurs, avatars, vampires, goddesses and many more wonderful mystical characters. They do custom orders as well! 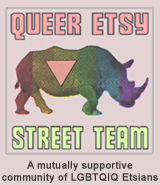 So be sure to stop by and peek at their sold items as well (link on the left of their shop page) and you'll be able to feast on even more creative works from this wonderful artist! YOU CAN CLICK ON THE PICTURE ABOVE TO VISIT MYMAGICME'S SHOP ON ETSY AND TAKE A LOOK AROUND OR, IF YOU PREFER, YOU CAN CLICK RIGHT HERE. I am going to "FAV" this shop now. Thanks for such a great feature, and what a great find!